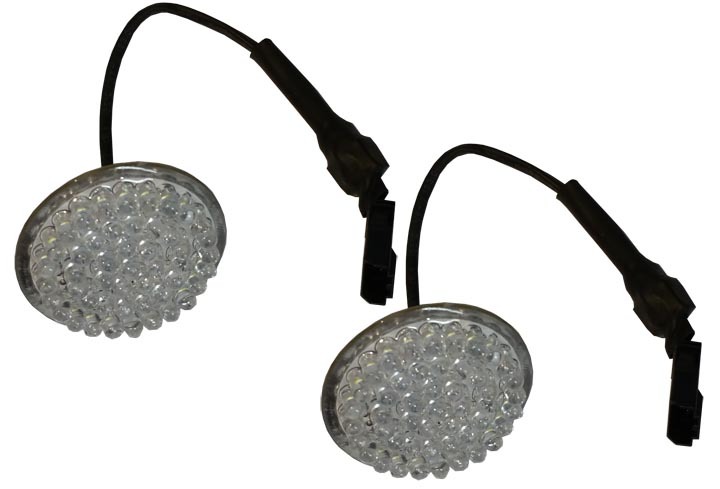 Add our Halo DRLs (daytime running lights) to your bike, and the 24 white incandescent LEDs will provide clear visibility for an evening or nighttime ride. 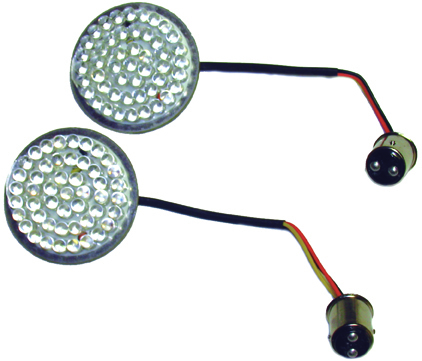 Activate your bike’s turn signal, and these 24 white LEDs will blink and shift to amber. Installing our Halo LEDs is easy—simply remove the stock bulb from your turn signal housing and replace with your new LEDs. No extra wiring required. Lenses are not included. 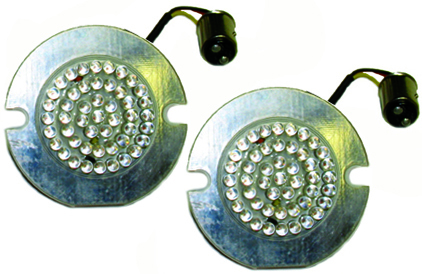 The pictures represent the lights look and an 1157 dual function base without the mounting tabs.